Eureka is a leading company in the designing and manufacturing of Coffee Grinders with elegant desing and innovative technology. Without altgering the long-standing reliability of each product, Eureka aims at being the reference company for innovation in the Coffee Grinder industry. Eureka provides a wide range of professional Coffee Grinders for any type of coffee which meets the clients’ productivity and budgetary needs. The certifications awarded allow Eureka to operate throughout the world and to ensure compliance with local standards and regulations as well as providing customers with reliable, beautiful, easy-to-use “made in Florence” products. We aim at providing the best grinding in order to bring out the aroma of coffees from Italy and from the world alike. 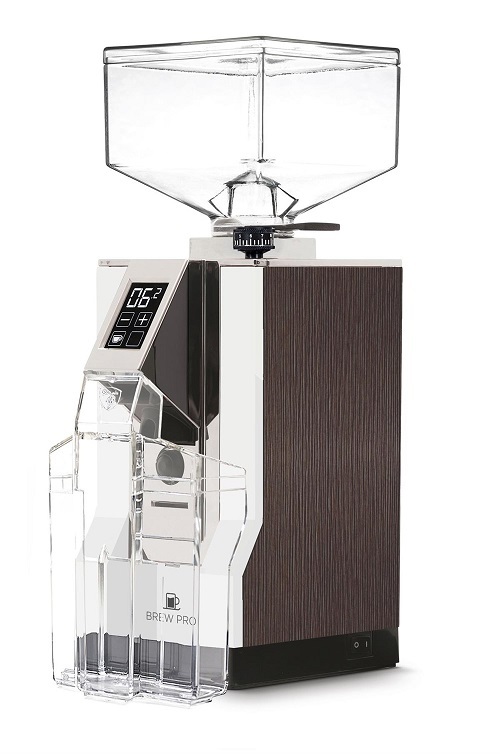 Italian technology and design, and a passion for coffee: this is Eureka! Since 1920.